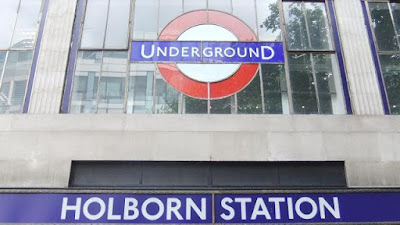 Dunbar and Boardman: Is Passenger Traffic Management at Holborn a Model for all Stations? If you live in London or are a regular visitor to our nation’s capital you will most probably be aware that Transport for London (TFL) has been experimenting with different passenger traffic management systems and in particular, options for dissipating the large numbers of passengers waiting to board the escalators. On November 25th last year TFL started a three week test at Holborn Underground station to ascertain whether it was more efficient to have passengers stand on both the left and right of escalators rather than passengers standing on the right and the left side remaining reserved for walkers. The results of the test were conclusive; traffic flow was increased by 30%. It is more efficient to have passengers stand on both the left and right side of escalators and to abandon the walk up ‘lane’ largely because it is under utilised. The result of this test threw Londoners into a bit of a tailspin especially when it was communicated via Social Media. Did this mean that all underground stations would have to follow suit? Did this mean that walking up would be banned? It may seem strange to outsiders but this issue has probably led to more heated debate than the London Mayoral race. Transport for London has decided to run another test, this time for 6 months. The second test starts in April and TFL will wait until it is concluded before deciding on any permanent changes to passengers’ journeys through London underground stations. “I believe that it is a good idea and where implemented in other cities has been proved to save the average person 's transit time. However rather sadly we live in a culture where people are increasingly selfish and will undoubtedly mean individuals will be frustrated at the additional few seconds added to their time, despite the benefit of all passengers. What do you think? Is changing our use of escalators at Holborn station a master stroke or will it lead to more confusion? Let us know what you think in the comments section below or via Twitter and LinkedIn.